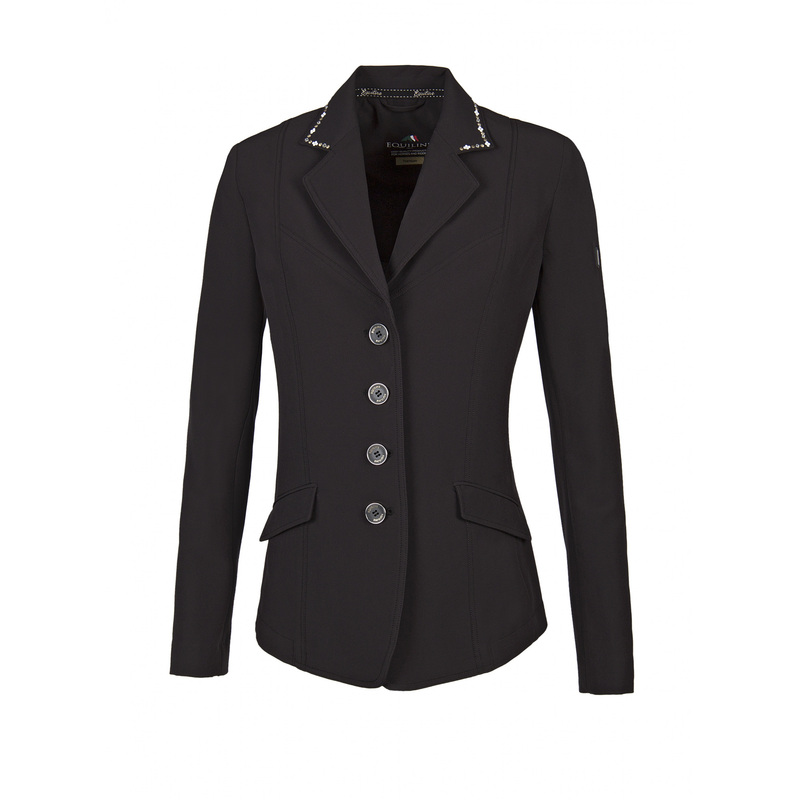 Elegant ladies' show jacket Anna. Due to application of material with admixture of elastin, it is perfectly elastic, which provides comfort during competitions. It is well-fitted thanks to its particular waist. 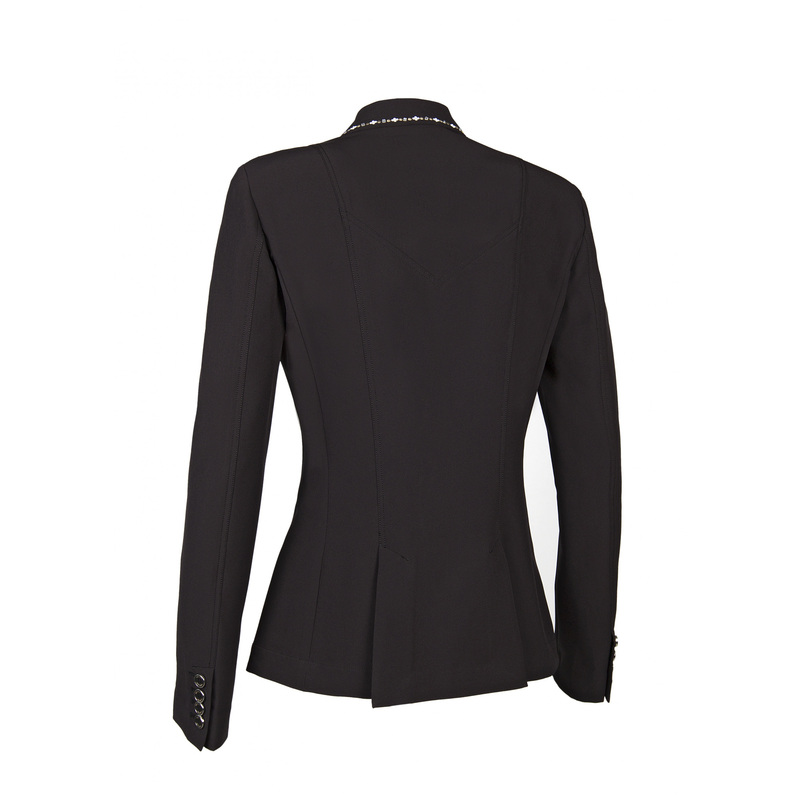 The most beautiful ornament of the jacket are shiny elements decorating the edge of the collar. 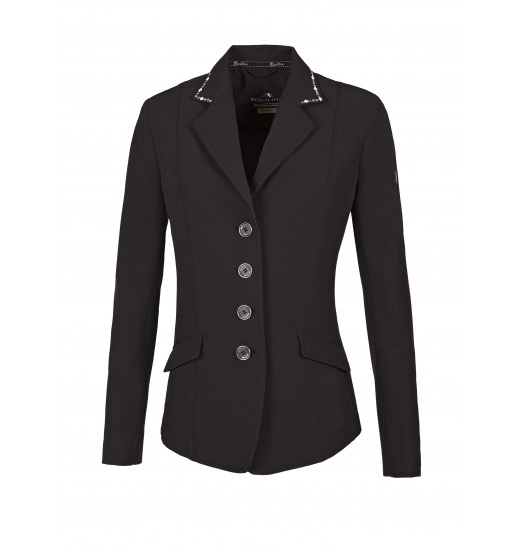 The jacket is fastened with durable buttons, additionally four buttons are on the bottom of each sleeve. There is a small metal Equiline logo on a shoulder.